NOTE: Due to the inherent dangers in using mains electricity in normal classrooms, this product is not for sale. It is however useful in tightly controlled environments and we are happy to loan out a PowerBox4 if we believe it is safe to do so. PowerBox4 enables computer control of low to medium power mains (240V ac) operated devices. It can be driven from a Raspberry Pi, or from any of our LinkBoxes, including Arduino, micro:bit and PICAXE. There is a TechNote for the PowerBox4 here. 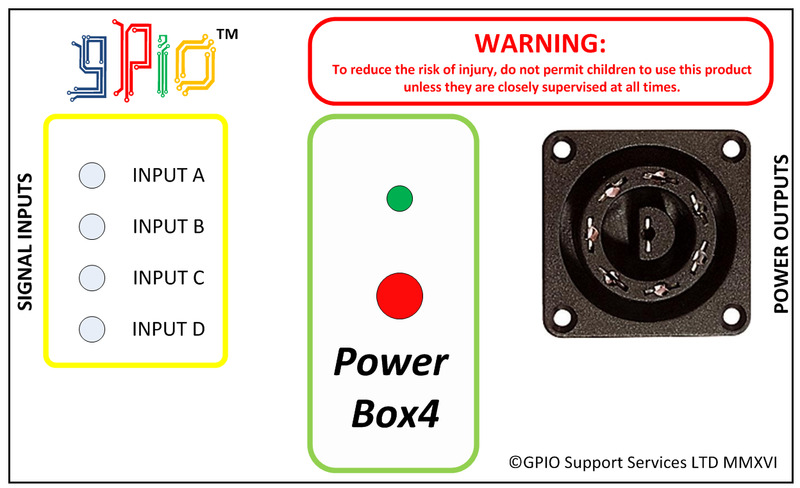 If you would like to use a PowerBox4 in your school/college please contact us to discuss this.